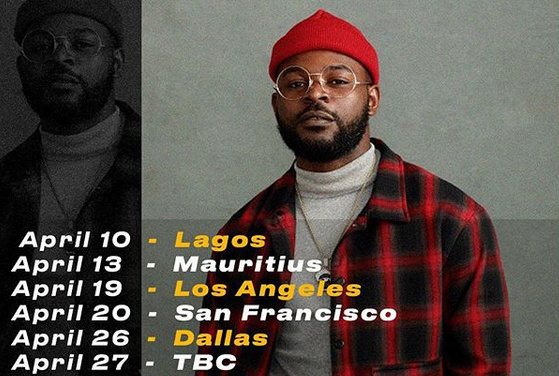 Folarin Falana widely known as Falz the Bhad Guy or simply Falz, has unveiled dates and cities for his much awaited world tour. The theme of the tour is “Bahd Guy On The Road”. The tour is set to kick off April 10th all through May 11. Lagos is the flag-off city as Falz would then take his expertise to Mauritius, Los Angeles, San Francisco, Dallas, TBC, Houston, Dallas and finally Lagos again. The comic rapper railed out the dates and cities on his Instagram page. “WORLD TOUR about to be in full effect. What cities / countries should I add to the list? Drop a comment #BahdGuyOnTheRoad,” he captioned.